The walk is a 5 Â½ mile round trip so I would allow 3 hours when including the visits to Castell y Bere and the church of St Michael's at Llanfihangel-y-Pennant. The walk includes parts of two of the most beautiful valleys in Wales, the Talyllyn and Dysynni Valleys, passes a mediaeval Castle and an ancient Church, Llanfihangel-y-Pennant in beautiful West Wales. Close to Tywyn, on the coast, and Dolgellau to the north. I would allow 3 hours when including the visits to Castell y Bere and the church of St Michael's at Llanfihangel-y-Pennant. You will learn about the history of Wales, from Prince Llywelyn and his fight for Welsh independence, and Mary Jones who walked across mid Wales in search of a bible. 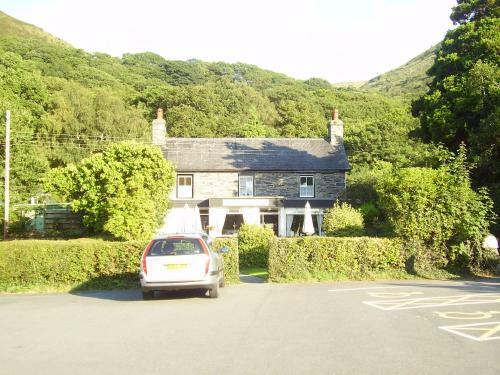 Walesdirectory.co.uk, where you can find where to go, what to see, and where to stay in Abergynolwyn Wales.